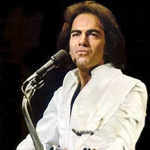 Learn how to play Neil Diamond – Morningside note-for-note on guitar. This lesson teaches Neil’s acoustic guitar part from the original studio version. It also includes a bonus video covering the guitar solo (played under the spoken bridge). The complete file contains 2 lesson videos, 2 performance play thru videos, full tabs, chords and lyrics. You’ll receive a link to download the lesson which will download as a zip file of 261 Mb containing all the lesson content.